$30.99 & FREE Shipping on orders over $59. (Makes 5 gallons) Very similar to our Porter, but includes Roasted Barley and a higher hopping rate for that true, coffee-like, burnt-Stout flavor. 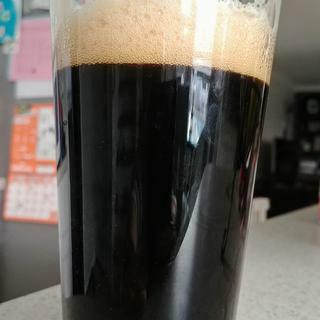 This is a micro-brewery-style Dry Stout with a pretty good dose of bitterness. Full, crisp flavor, black color, and a nice, dry finish. Good price for a well reviewed dry stout. Need to try it! St Patrick's Day is coming up! A basic, but very good stout. It's dark and roasty, but not overly so. It is very smooth and at 5% I could drink these all day. I used Irish Ale yeast and fermented low...about 63F. 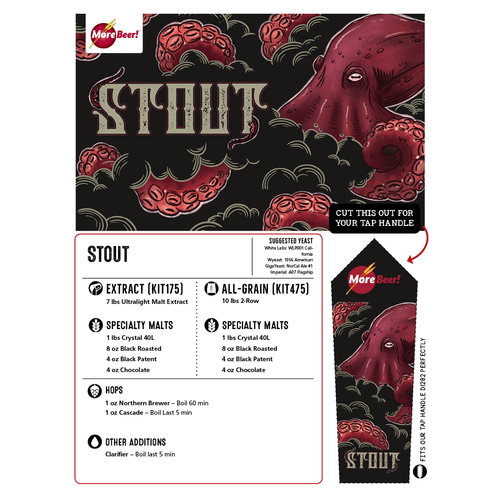 I am a stout lover (saw it when I wrote it, but now can't erase it!) so I will be brewing this one repeatedly, both as is and changing things up along the way. The recipe is begging to be tweaked but is a fantastic beer as is. The B3 stout will be next for a compare and contrast. This was the first beer I ever brewed. Two weeks in the fermenter and then two weeks in the bottles. They were slightly hoppy in that first month, but really mellowed after letting it age for 3 months. A great tasting beer that even non stout drinkers enjoyed. I used to brew this all grain but don't have as much time. This kit works great and takes less time. Also tastes great, worth giving as a present. I've brewed this twice so far, both times with Wyeast 1056 American (500ml starter), and fermentation always comes on fast and strong. I'm fermenting 5 gallon batches in a 7 gallon Fermonster and a blow off hose was needed every time I brewed this kit. I'm a fan of dark roasty sessionable beers and this stout really hits the mark for me. 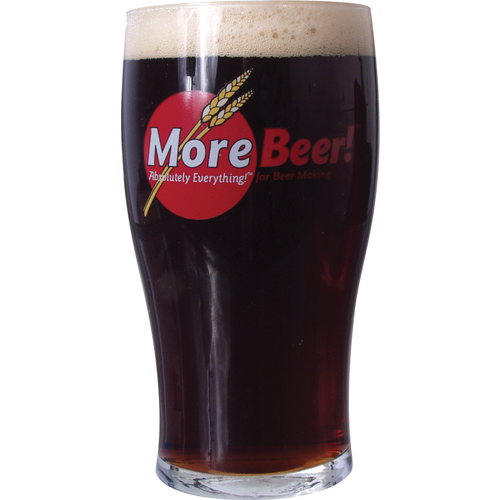 It has the chocolate, black patent and roasted barley and comes out just over 5% abv. Has great head with medium body, and makes a great breakfast stout. I plan to have this on hand at all times and will probably start tweaking the recipe a little, just for fun though--it's great as is. Not a lot to say here, this is a great drinking stout. I split batch and pitched one US-05 one Nottingham ale yeast, both dry, both direct pitch. Personally I preferred the US-05. That said, both were great. fast drinker, ready in 3, perfect in 5. Using this beer as a base for secondary additions. I'll be adding hazelnut extract and cold pressed coffee to this. This turned out absolutely fantastic. Soft, smooth, sweet, chocolaty. So very perfect for additions. I have brewed this stout 6 times and I can never let it sit long enough!!! It is good young but around the three month mark it gets better!!! I wish I could brew a couple batches back to back and let it age. My wife and I love this stout! For the price, this is a steal. I think this is one of the best extract beers I have made. This is a fairly easy recipe with phenomenal results. I have left some of these beers sit for over 3 months and they keep getting better. I will definitely purchase this kit again. I brewed this last year and need to do it again! I used White Labs British yeast. Over several months it got better and better and I hated to see it disappear, but quickly became a fan of their Oatmeal Stout too. 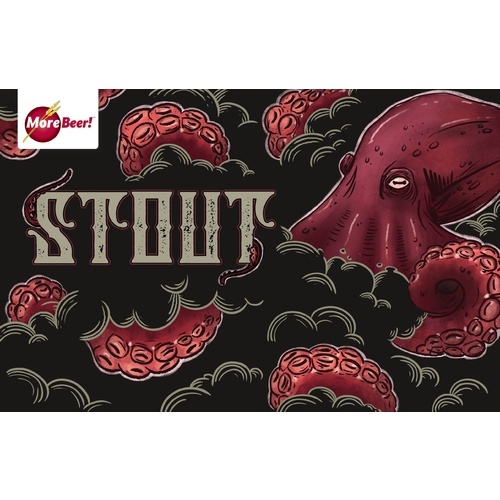 This one has a lot more flavor and character than many other stouts out there for the price!